The field of sale and transportation of bulk materials is one of the most sought-after in our Agency. Entrepreneurs understand that only the most thoughtful and high-quality websites and lucrative advertising can withstand the competition. The geography of the cities for which we have created websites in this area is diverse. Clear interface, easy navigation through the site and the possibility of feedback. Important components of a successful one-page site for bulk materials. 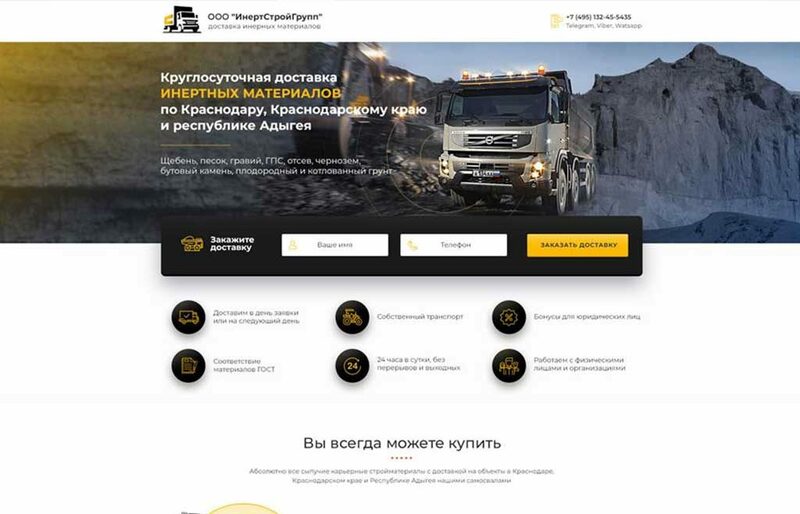 For a site for bulk materials, email us at mail@201086.ru or call +7 (4012) 201-086.